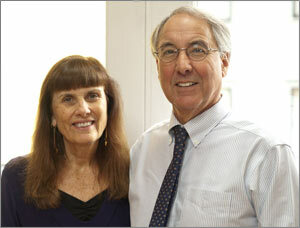 Center For Change is the private practice of Richard and Amanda Curtin in Cambridge Massachusetts. Richard has been a psychotherapist for 39 years and Amanda has been in practice for 28 years. We are holistic therapists who believe in the mind-body-spirit connection. Although awareness is often helpful in the beginning, it is not usually enough to create the change that we desire and deserve. We find many people who are aware that what they are doing isnít helpful but are unable to change it through their own will power. We believe that clients need concrete tools and a step-by-step program to achieve identifiable goals and that the therapist needs to be an active participant and resource in the treatment. We also believe that people can change deeply established behaviors, beliefs and also patterns in relationships that do not serve them. This is why the practice is called Center For Change. The reason to do the hard work of therapy is to be able to love yourself, enjoy meaningful relationships, do work you love, have good self care, enjoyment and a balanced life. The key to this is often reconnecting with our bodies and learning how to deal with emotions in a healthy way. We offer individual, couples and group psychotherapy. We provide a safe space where there is warmth, support and active feedback. We specialize in several areas. Richard offers psychotherapeutic Reiki, a combination of talk therapy and energy work. He has experience working with couples and co-leads couples groups with Amanda. He also works with anxiety and depression using cognitive behavior therapy. Amanda specializes in recovery from childhood trauma, addiction, couples treatment and present day thriving. She offers individual, couples and groups. She has lead groups for 28 years, usually 5-6 groups at a time.